I finally got on my first flats frenzy. I've caught fish every where except grass flats since I moved down a year ago. I had a friend along that knew a thing or two about fishing grass, and we were able to find some fish fairly quick. The skyway is holding an inshore slam right now if you want it. Definitely no jacks! 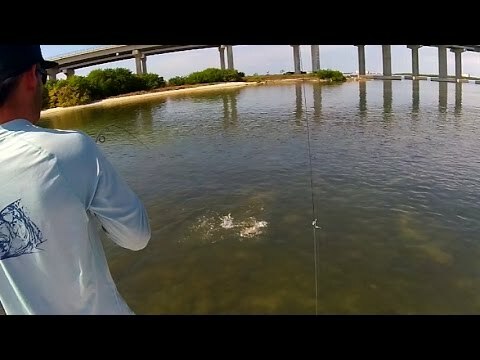 We did catch a few flounder but the camera I recorded them on fell in the water. Why do you suppose you pulled the hook on so many? Trying to film and fish at the same time probably, haha. The Misener can be productive if fished correctly. Nice vid. The old wrist-rocket might work. Bait launcher? Don't know that one. It was the name of a sling-shot back in the day.